Qt Quick Controls 2 offers a variety of input controls for both numeric and textual input. Each type of input control has its own specific target use case. The following sections offer guidelines for choosing the appropriate type of input control, depending on the use case. ComboBox is used to select a value from a static multiple-line drop-down list. It is not possible to add new values, and only one option can be selected. If the number of values is very large, consider applying a filter. If the list is very limited, consider using RadioButton. This has the advantage that the user can see all options at the same time. Select a default value, the value that will be chosen most often. See also CheckBox Control, Tumbler Control. Dial is similar to a traditional dial knob that is found on devices such as stereos or industrial equipment. 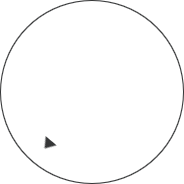 The dial is rotated by clicking and dragging, with the handle indicating the value of the dial. For applications where fast input is important, the circular input mode is useful, as clicking on the dial will move it directly to that position. For applications where precise input is important, the horizontal and vertical input modes are recommended, as these allow small adjustments to be made relative to where the dial is clicked. These modes are also better for dials where large jumps in values could be unsafe, such as a dial that controls audio volume. TextArea is a multi-line text editor. TextField is a single line text editor. Tumbler is a spinnable wheel of items that can be selected.